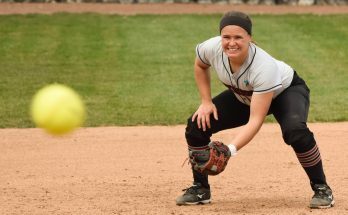 The University of Indianapolis softball team defended its home field for the second-consecutive day on Sunday, March 30, with back-to-back shutout victories over the University of Wisconsin-Parkside Rangers in a doubleheader. The Greyhounds won the first game 12-0, and the second game, 8-0. The victories extended the Greyhounds’ winning streak to four games, 12 of its last 14. The Greyhounds continued to add to the win column on Saturday, March 29, with a pair of victories against the Lewis University Flyers in a doubleheader. The Greyhounds wrapped up both games prematurely, winning the first game, 12-0, in five innings, and the second game, 6-0, in six innings. The doubleheader against the Flyers was UIndy’s first set of games at home this season. Despite a three-hour weather delay, the Greyhounds carried on with both games in cold and cloudy conditions. The Greyhounds snapped the Bellarmine University Knights’ perfect conference record with a split in a doubleheader in Louisville, Ky., on Sunday, March 23, winning the first game, 5-2, but losing the second 6-1. 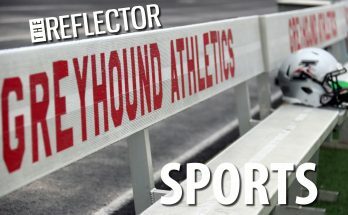 Head Softball Coach Melissa Frost said that going into the games against Bellarmine, the Greyhounds knew they had to play hard to take down the division leaders. In game one, the Hounds led 5-0 at the end of the second inning. Sophomore pitcher Morgan Foley allowed just one hit and threw 14 strikeouts during all seven innings. In game two, senior pitcher Morgan Lewis allowed three earned runs, four overall, for a score of 4-1 prior to being relieved. Foley came in to pitch at the bottom of the fourth, but allowed two more runs to make the final score 6-1. 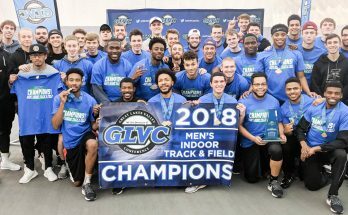 On Saturday, March 22, the Greyhounds had two back-to-back conference wins against the University of Southern Indiana Screaming Eagles in Evansville, Ind. In game one, the Hounds won 1-0 with a single from freshman infielder Katie Kelly. Foley was able to keep the Screaming Eagles from scoring with a three-hit shutout, striking out 14 batters and walking one. In game two, the Hounds won 3-2, with help from junior utility Taylor Russell and sophomore catcher Jenny Thompson, who hit back-to-back homers. Foley came in as relief for Lewis at the bottom of the second and allowed one unearned run at the bottom of the fifth inning but struck out nine batters. Lewis said that in preparation for the Bellarmine and USI games, the Greyhounds changed some things in their approach. “We’re getting to go outside now, because it’s finally warm weather, and people are going to different positions trying to fill gaps,” Lewis said. The Greyhounds finished with a split on Monday, March 17, in Springfield, Mo., against the Drury University Panthers. The Hounds fell in game one 2-1, but in game two, they beat the Panthers 14-4 in five innings. Game one between the Hounds and Panthers remained scoreless until the bottom of the fourth, when the Panthers scored the first two runs, taking a 2-0 lead. The Hounds attempted to rally at the top of the fifth, when senior catcher/infielder Cori Eckerle hit a homer, but that ended up being the only score for UIndy. The Hounds won in game two 14-4 over the Panthers. UIndy scored in four of the five total innings and scored 11 times in the span of the last two innings. Foley came in as relief for Lewis in the third inning and went on to pitch two scoreless innings. The Greyhounds, in another doubleheader, shut out the Missouri S&T Miners on Saturday, March 15, with a 1-0 win in game one, and gained another win, 8-2, in game two at Rolla, Mo. Thompson scored the only run in game one with the help of a triple by Eckerle. Foley kept the Miners from scoring with a total of 17 strikeouts in the game. In game two, Lewis was able to strike out four batters in seven innings and allowed just two runs at the bottom of the sixth to make the final score 8-2. Lewis said that the key to success in the Drury and Missouri S&T games was that the team maintained composure. Frost said that the team had a slow start to its season, but after the Drury and Missouri S&T games, the team started to come alive and come together. The Greyhounds will return to action this afternoon, when they travel to play a doubleheader at Ohio Dominican University. The first game will get underway at 3 p.m., with the second game scheduled to follow at 5 p.m. UIndy will also play this weekend, April 5-6, against the University of Illinois Springfield Prairie Stars and the McKendree University Bearcats, respectively, in two separate doubleheaders. The first and second games in each series are scheduled to begin at 1 p.m. and 3 p.m.
Lewis said that she thinks the team is finally coming together and hopes to continue pushing forward to win more games.